Everything is digital these days…and there is no reason, why your marketing mails shouldn’t be! Few well chosen words are worth it, when it comes to persuading people to buy your products. Email marketing is all about packing such well chosen words in the form of an email and sending it to a group of existing or potential customers, so as to elicit positive business related responses from them. MercuryMinds is into two types of email marketing services: transactional and direct. Under transactional email marketing, we undertake the task of sending mails for the purposes of assisting, finishing, or confirming commercial transactions. It includes dropped basket messages, email receipts, purchase or order confirmation emails, password reset emails etc. We always make sure to covertly include advertising and promotional messages within such emails, so as to introduce new products, answer queries, cross-sell or up-sell products etc. We also provide specialized transactional email services, under which we send targeted and personalized transactional emails as well as run digital marketing campaigns. Under direct email marketing, we specifically send promotional mails about things like special offers, new products etc to existing as well as potential customers. Build customer loyalty and brand identity awareness among existing customers, which in turn results in repeat business. Send ads, request business and solicit sales. Bring in new customers and prompt existing customers to buy a product immediately. 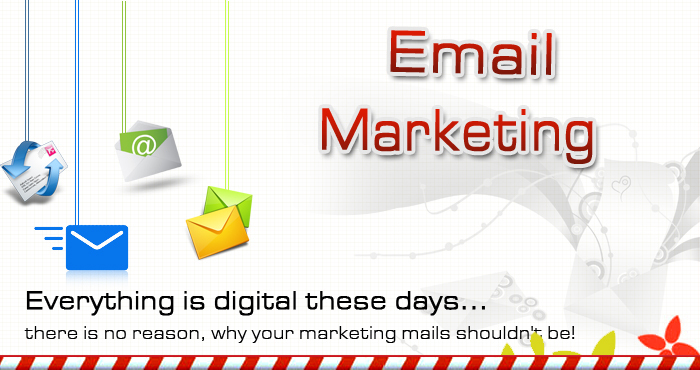 To learn more about our email marketing services, please call: +91-44-42136491.